Yes indeedy, the Star Wars: The Old Republic Friday Update is yet another planet reveal! The latest addition of Voss brings the current planet count to an even dozen, and some believe there are still more incoming. We shall see. 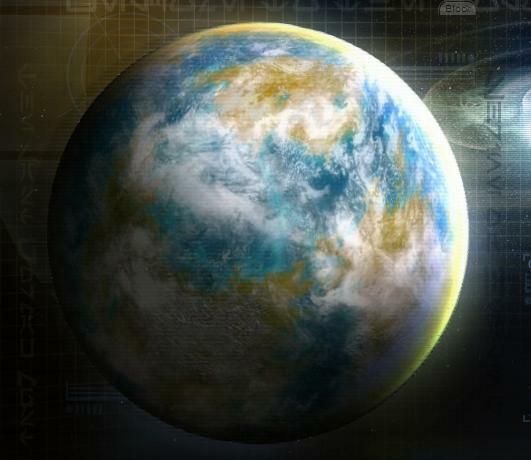 For now, we have Voss, claimed to be a “never-before-seen” planet in the Star Wars universe, though apparently an entry on Wookieepedia has existed for it before this. I personally think it’s admirable that Bioware is taking an opportunity like this to expand upon little-known places that are in the lore. There must be a ton of other planets like this in the Star Wars universe, giving them plenty to work with when it comes to providing us more worlds to explore. Speaking of exploring, Voss is shaping up to be a pretty mysterious planet by the looks of it. 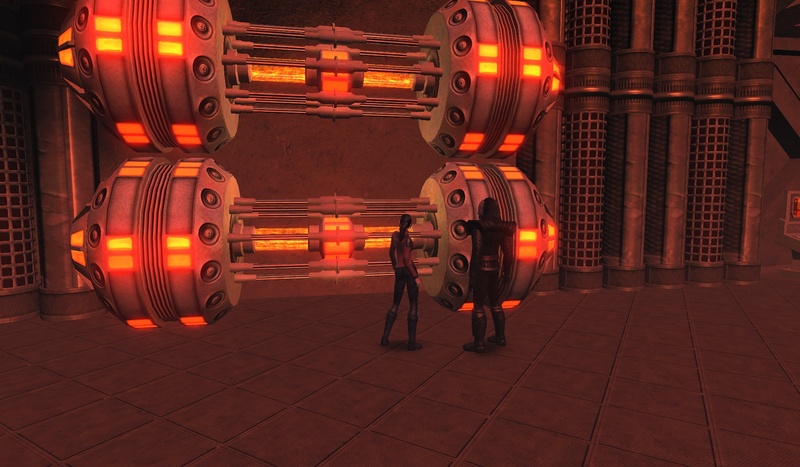 There’s no telling right now how this conflict will play out in-game, but when I read about the tech-savvy Gormaks and and Force sensitive Voss Mystics, all I could think about was faction rep grinding. Arghhh. Nevertheless, I’m quite intrigued and it’s nice to know that Bioware has the real intent to leave their mark on Star Wars history, with the introduction of fresh and meaningful lore into the mythos. In other words, this announcement makes me feel all warm and fuzzy inside. Last week, our fearless leader T’Androma was captured and held hostage by the fearsome Klingon Longash. At least, that’s the only theory I could come up with to explain why I wasn’t immediately disintegrated by his crew the moment I stepped foot onto his ship. Stalling for time, T’Andy convinced her nefarious captor to give her the grand tour of his bridge, while her mind frantically worked at trying to come up with an escape plan. Until, of course, she saw the targ pens. The sight of those baby targs snuggled in their little targ beds could warm even the most stoic of Vulcan hearts. T'Andy: "Omigosh! Targ puppies! May I have one?" Longash: "NO. Now be a good little prisoner and shut up." Well, the bridge is certainly spacious. And by that I mean it’s so jaw-droppingly huge that the crew could probably hold multiple floor hockey games in here simultaneously, no problem. The command chair is conveniently located in the forward section, where the captain will have an unobstructed view of the viewscreen as well as access to all important monitors. 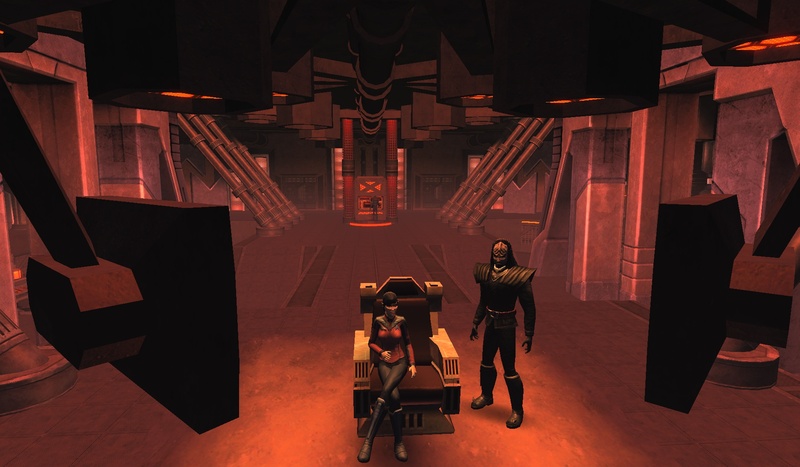 T'Andy: "Not fair, these Klingon captain chairs offer so much more lumbar support. We Feds got royally screwed." It’s all very impressive, and in my opinion a lot more interesting to look at than a Federation starship bridge. 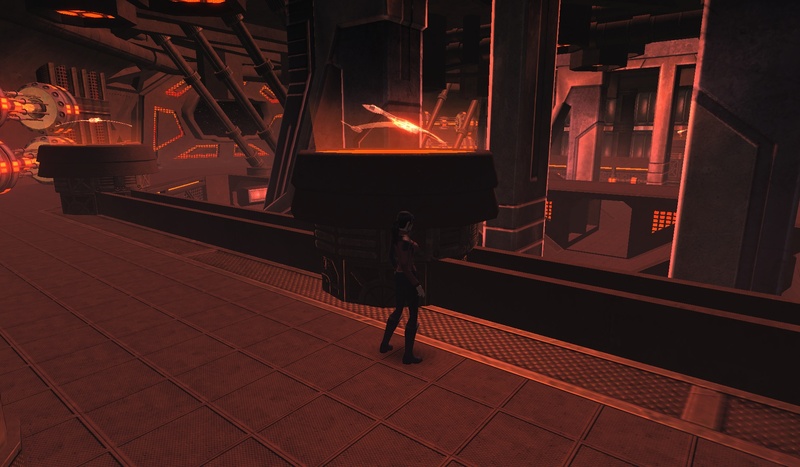 This particular Klingon bridge, for example, showcases a few charming props. T'Andy: "I know I wouldn't mind a holographic ship collection on MY bridge." All I can say is, it’s awesome. And the color scheme is just so red and deliciously diabolical. Guess if you’re going to be the badasses of the galaxy, you’ll need the ship interiors to fit that image too. One thing’s for certain — there’s a lot of potential here when it comes to starship interior designs, that is, when Cryptic gets around to adding more parts of the ship. T'Andy: "So what are these things? Warheads? Antimatter containers? Random stuff that makes other stuff go boom?" Longash: "I have no idea." Options to customize them wouldn’t hurt either; I would love it if they made the entire ship more akin to player housing. Here’s also hoping that the Federation will get more interesting looking bridges in the future, because right now, I think I may have bridge envy! Anyway, my thanks to @Longasc for this really awesome opportunity. At least now I know how those pesky Targ Handlers can keep up their endless supplies! You are currently browsing the MMO Gamer Chick blog archives for the day Friday, April 9th, 2010.